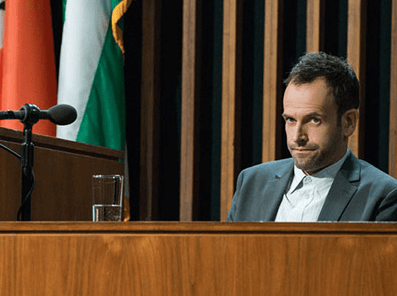 Season Two of Elementary, originally scheduled several weeks ago, has now been rescheduled following changes to So You Think You Can Dance. It will now begin at 8:30 pm Sunday March 23 following a 6:30pm movie. When an investigation goes horribly wrong, Sherlock must testify in an official police inquiry which jeopardises his and Watson’s future with the NYPD. I wonder if next year they’ll put it on before ratings start so the audience might be able to know it is on. It worked last year. Or would that be too predictable? By the way I hope the show does better than average on Ten. I’m glad for the audience it is back. Another sensible programming decision by Ten? I’d better wear my raincoat and hat in case I get crapped on by all those flying pigs. It’ll provide an alternative to Downton and UB part 1b, and will have a head start on both. Love this show and glad its coming back. However I wouldn’t be surprised if channel 10 did a last minute switcharoo and put something else on instead. The only other thing i watch on Sundays is Rake, and it will only have one more episode left on the 30th. What a good idea to put elementary @ 8:30pm.